Sydney Airport averaged 84.4 per cent of flights being on-time in 2014. Not one of the world’s major hub airports managed a better than 90 per cent on-time performance in calendar 2014, figures from flight data and aviation consultancy OAG show. The best-performing airport with more than 20 million seats per year was Munich, where 89 per cent of all flights departed or arrived within 15 minutes of published schedules according the the OAG Punctuality League report. 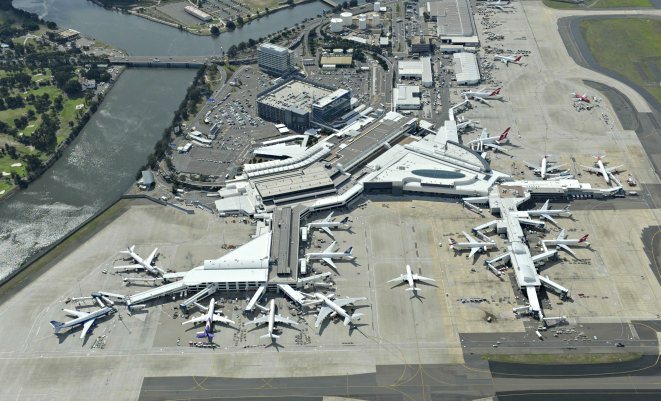 The report found Sydney was the eighth best for punctuality in the large airport category at 84.4 per cent, with Melbourne just outside the top 10 at 11th on 82.9 per cent. Middle East mega hub Dubai came in 14th (82.3 per cent) while other major hub airports such as London Heathrow, Hong Kong and Paris Charles de Gaulle were outside the top 20. “None of the Top 20 Large Airports achieved over 90 per cent on-time performance in 2014 reflecting the greater operational challenges large airports face,” the OAG report said. “Aside from congestion due to high demand for slots, these airports are also more likely to feel the effect of disruption elsewhere as their route networks include many more airports. It was little better in the medium airports category, defined as having between 10 and 20 million seats per annum, where Osaka Itami (which handles only domestic flights) topping the table at 93.2 per cent. Osaka Itami was the only airport in this category to have 90 per cent on-time performance. Brisbane was 14th at 84.4 per cent in this category. “An interesting observation is that nine of the Top 20 lie above 50 degree latitude, in regions which are generally known for their colder weather and snow,” OAG said. By contrast to their larger counterparts, in the small airports category there were nine airports with a 90 per cent punctuality rate or higher. Bristol Airport in the United Kingdom topped the list at 94.4 per cent, the highest of all airports in the report. Brussels South Charleroi came in second on 93.1 per cent, while Adelaide Airport, which had the highest percentage of on-time arrivals and departures of all Australian airports in the report, was seventh at 90.5 per cent. Perth (15th with 88.1 per cent) also made the top 20. “For some of these airports the significant proportion of flights operated by low cost carriers (LCCs), with their high aircraft utilisation, will be a factor,” the report said. A small airport was defined as having fewer than 10 million seats per year. OAG said there was increased operational complexity as airports grew larger and on-time performance “typically suffers”. The rise and rise of low cost-carriers was also a factor in the airports’ ability to help airlines keep to schedule. “The shift from small to medium and large airports by LCCs is undoubtedly becoming a factor, making it especially challenging for larger airports to consistently deliver high on-time performance when they increasingly have a mix of legacy and LCC operators to handle,” OAG said. Meanwhile, there were were also no Chinese airports in the top 20 of the small, medium or large airports category. “Given the likelihood that Beijing will soon replace Atlanta as the world’s busiest airport it is interesting that there are no Chinese airports among the Top 20 yet,” the OAG report said. The OAG report utilised flight schedules and flight status data from more than 900 airlines. The 2014 figures were based on 43.5 million flight records, the company said.